Goats by the tribe. Trees by the grove. Bees by the hive full. Buy in bulk, save time, and give your clients, colleagues, or friends something unexpected. Our catalogue lists dozens of gifts that do good in simple and surprising ways. You can pick one to send to everyone on your list or chose a different gift for each person. Each recipient gets a free card you can e-mail or print-at-home featuring a photo of your symbolic gift and information about how it makes a difference. We’ll add your customized message to each card. 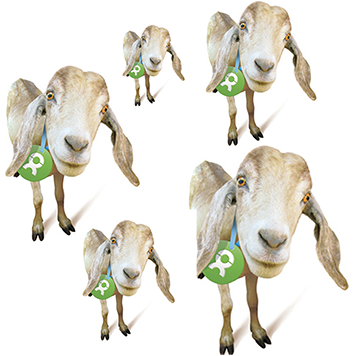 Stand out by sponsoring a featured gift on OxfamGifts.com. 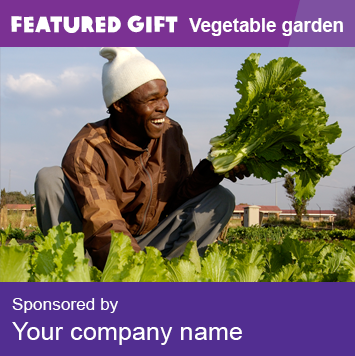 When you sponsor a gift, an ad for the featured gift of your choice will appear on every page of our website, along with your company’s name. It’s a great way to build your brand while also making a difference. Donations go twice as far when you match one of our gifts that give back. Here’s how it works: you select a gift in our catalog, and each time someone buys it, your company donates a dollar-for-dollar matching amount to Oxfam America. Your matched gift can include information that highlights your company and message, so you’ll be spreading the word while also doubling your impact in the fight against poverty. 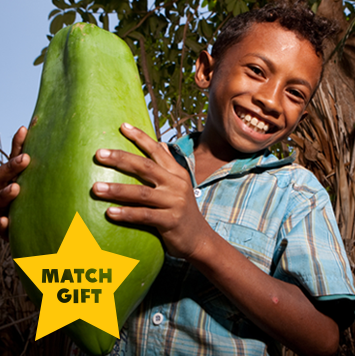 To set up your matched gift, contact donorinfo@oxfamamerica.org.